The Hutton Inquiry into the death of David Kelly will influence the future of the BBC and the role of its governors, Culture Secretary Tessa Jowell has said. 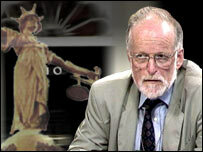 Culture Secretary Tessa Jowell told BBC's World at One it "goes without saying" that the government will take "very seriously indeed" any recommendations made by the inquiry into David Kelly's apparent suicide in relation to the BBC. The government is to begin a "radical and wide-ranging" review about renewing the BBC's public charter for 2006. The review is not expected to scrap the licence fee, but it may propose the BBC hands over the Board of Governor's regulatory responsibilities to Ofcom, the new independent broadcasting watchdog. She said: "It is a statement of the obvious to say I will take very seriously the recommendations in the Hutton inquiry. She added: "Particularly those recommendations that may bear, in any way, on the BBC or any other broadcaster or any other aspect of the media." No-one should forget that "the BBC is one of this country's most trusted institutions", which people believe is almost as important as the NHS in defining what is good about the UK, she said. But the BBC must conduct itself in a way that "deserves that trust", she said. The governance of the BBC will be looked at during the review of its charter later this year, she said. Dr Kelly was found dead near his Oxfordshire home on Friday. The BBC later admitted he had been the primary source for stories on how the government had allegedly exaggerated the threat from Iraqi chemical weapons in an intelligence dossier. 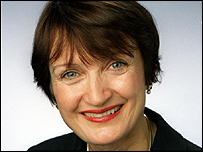 The BBC had no official comment, but said Ms Jowell had written a letter to the Guardian on 12 July indicating the current disagreement between the BBC and the government will not in any way threaten the BBC's charter. "The BBC charter review will focus on the role of the BBC in the 21st century and its contribution to public service broadcasting," the letter added. In January Ms Jowell said it was "between improbable and impossible" the BBC would lose the right to charge a licence fee. Meanwhile, on Thursday the Commons Foreign Affairs Committee said it would not publish transcripts from BBC reporter Andrew Gilligan's second testimony, which was taken in private. It was also announced the Hutton Inquiry hearings would not be broadcast on television or radio. But transcripts of all evidence given by witnesses, expected to include Prime Minister Tony Blair and Defence Secretary Geoff Hoon, would be available to the media and the public "almost immediately".